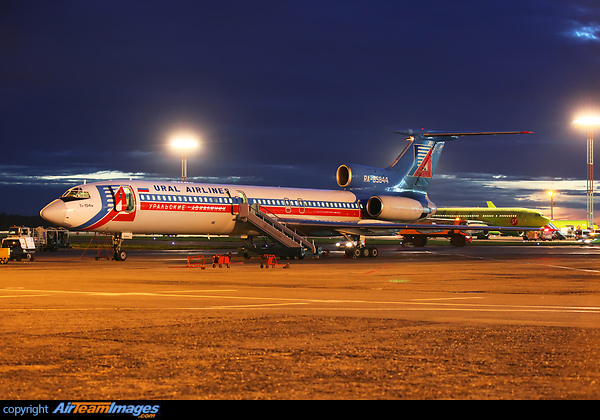 The Tupolev Tu-154 'Careless' is a trijet passenger aircraft designed for medium range flights. The aircraft has been exported to and operated by at least seventeen world airlines. Many variants of this airliner have been built. 3 x Soloviev/Aviadvigatel D30 (20000 - 34000 lbf) turbofan engines.